A 100-year-old theory helped open up a brand-new world of astronomy. An artist's rendering of the LISA satellite. (Inside Science) -- The 2017 Nobel Prize in physics recognized three scientists for paving the way to the first ever detection of gravitational waves in 2015 by the LIGO Scientific Collaboration. With that event, the field finally shed its label as a purely theoretical pursuit and opened up a brand-new way of doing astronomy. The existence of gravitational waves was first proposed in 1893 by Oliver Heaviside, when the self-taught English physicist used an analogy that likened the propagation of gravity to that of electricity. It was more formally established in 1916 by Albert Einstein as one of the key components of his theory of general relativity. Skeptical at first, scientists slowly began to accept the idea in the ensuing decades, as more evidence supporting Einstein's theory of general relativity came to light. But there was a big gap between thinking gravitational waves exist to believing they could be measured. Even Einstein was skeptical about the ability to ever detect gravitational waves. "[Einstein] saw right away that this was going to be a challenge. He even said that this new thing that he had just invented, or had gotten out of his equations, will never play a role in science," said Rainer Weiss, one of the new Nobel laureates, during a press conference from Cambridge, Massachusetts this morning. A 1962 paper by Russian physicists Mikhail Gertsenshtein and Vladislav Pustovoit was the first to describe how instruments called interferometers could be used to detect gravitational waves. In 1984, a committee, which would eventually lead to the LIGO collaboration, was formed by Weiss and fellow laureate Kip S. Thorne together with Ronald Drever, who passed away this March. When it began operations in 2002, LIGO had the sensitivity to detect vibrations down to one one-thousandth the width of a single proton. Today, LIGO can detect vibrations down to one-tenth that size. While this may seem like overkill, the incredible sensitivity proved critical, since it was barely enough for the first ever gravitational wave detection. That first detection was made on Sept. 14, 2015. Since then, three additional detections have been announced, with the latest coming just this past week. On Sept. 27, the LIGO Scientific Collaboration and the Virgo Collaboration -- which runs a similar gravitational wave detector in Italy -- jointly announced the fourth detection of gravitational waves. The announced detection marked the first time a gravitational wave signal was detected by all three operating facilities. The triple detection enabled scientists to triangulate the signal and locate the source 20 times more precisely than with LIGO alone. Additionally, Virgo's detector faced the same gravitational waves at a completely different angle, which gave scientists a fundamental new piece of information about gravitational waves -- the polarization of gravitational waves, which is how space-time is distorted in the three spatial dimensions. The brightness of a star is inversely proportional to the square of the distance to that star. For example, the same star would only be one-fourth as bright if it were twice as far away. But gravitational waves behave differently than light. Technicians installing a major upgrade of LIGO. "That's kind of a shocking thing to a lot of people, because it's not an inverse-square law," said Joseph Giaime, the current head of LIGO Livingston, during an interview with Inside Science. "If you can increase the sensitivity [of LIGO] by a factor two, you can see twice as far away, and if you can see twice as far away, you can see eight times more volume in the universe." Eight times more volume means eight times more observable objects. Because of this incredible bargain, the teams at LIGO and Virgo are constantly trying to further improve the sensitivity of their instruments. "We're going to be spending the next year tuning the instruments, and we think that we can get about a factor of two improvement," said David Shoemaker, the spokesperson for the LIGO Scientific Collaboration, during a press conference last week. "While we've seen some signals over some months of observing, we think that that rate will significantly increase in our next observing run to perhaps a signal a week or more." There are currently two more large-scale interferometers being planned. One located in Hida, Japan, named Kamioka Gravitational Wave Detector, or KAGRA, is already under construction and is expected to enter operation in 2018. Another detector called LIGO-India is currently under consideration by the Indian government. Now that researchers have proven that we can indeed detect gravitational waves, astronomers are looking to expand the field into what's called multi-band gravitational wave astronomy. Similar to how optical telescopes, X-ray telescopes and radio telescopes all look at different bands of the electromagnetic spectrum and teach us different things about the cosmos, the detection of gravitational waves at different frequency bands also requires different detectors. For instance, astronomers believe that gravitational waves also exist at much lower frequencies than what is detectable by the LIGO and Virgo instruments, but in order to sense these waves, the length of the interferometer arms will need to be much, much longer. 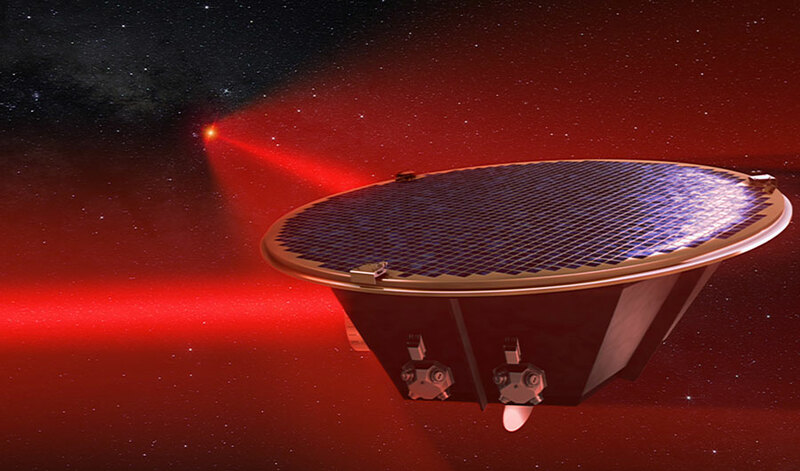 Enter LISA: the Laser Interferometer Space Antenna. Currently led by the European Space Agency, the project will launch three satellites, which will each settle into an orbit a million kilometers apart from the other two. The arms of Earth-based interferometers are long vacuum chambers, but space conveniently provides its own vacuum. LISA’s satellites can be linked together via laser beams, and will together act as a single interferometer. 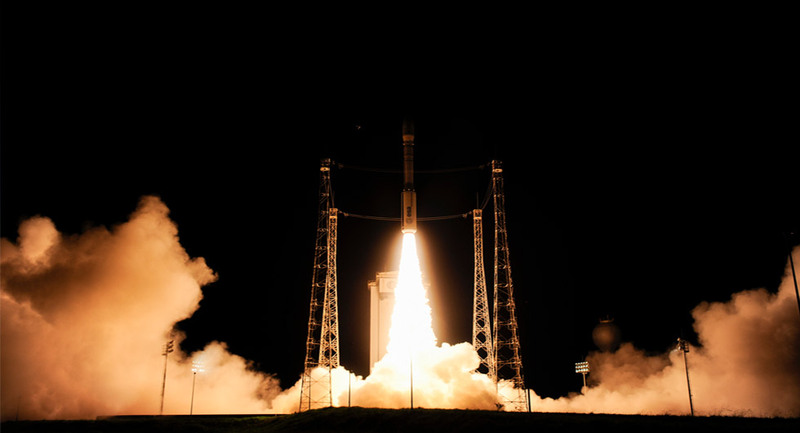 The successful launch of the LISA Pathfinder satellite in 2015. While sounding like something out of science fiction, LISA is actually very close to becoming a reality. Earlier this year, the LISA-Pathfinder -- intended as a prototype for the LISA satellites-- successfully concluded its mission. The test satellite performed even better than the scientists and engineers expected. While there are still some technical challenges ahead, most notably the ability to do inter-satellite measurement, scientists are generally optimistic about the project. The LISA satellites are projected to be launched around the mid-2030s. "The real payoff [of gravitational wave research] is going to be in the future,” said Weiss during the post-Nobel press conference.